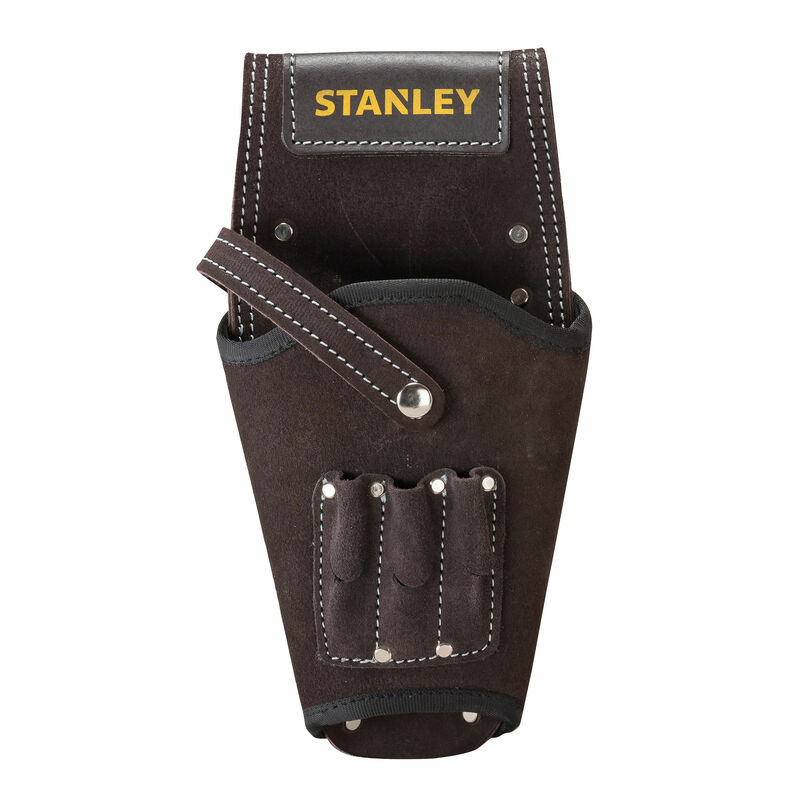 The STST1-80118 Leather Drill Holster from Stanley can be used by both left and right handed users. 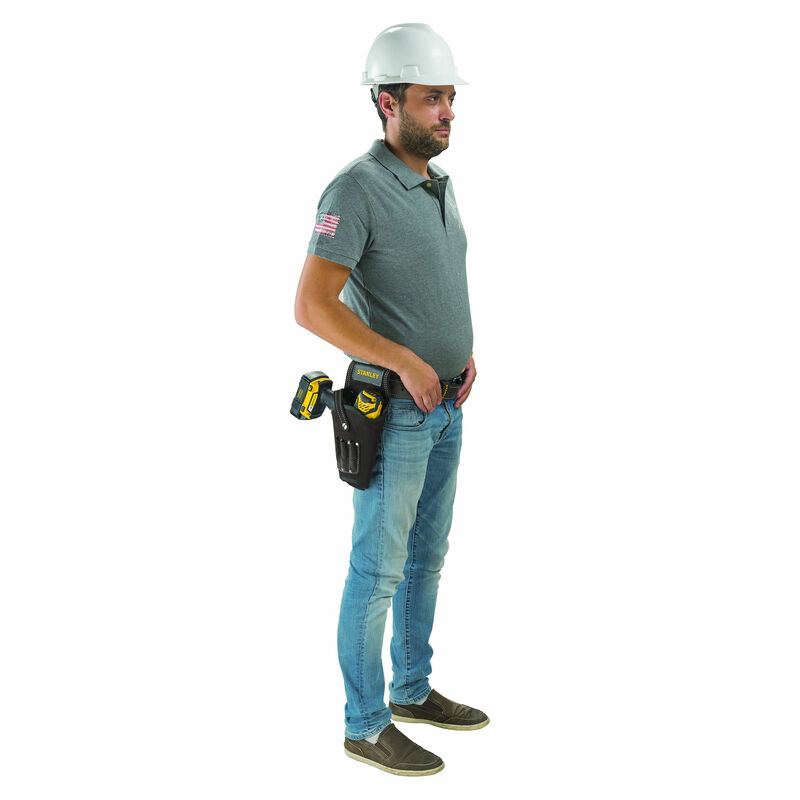 The holster has 3 handysmall pockets for storing drillbits. 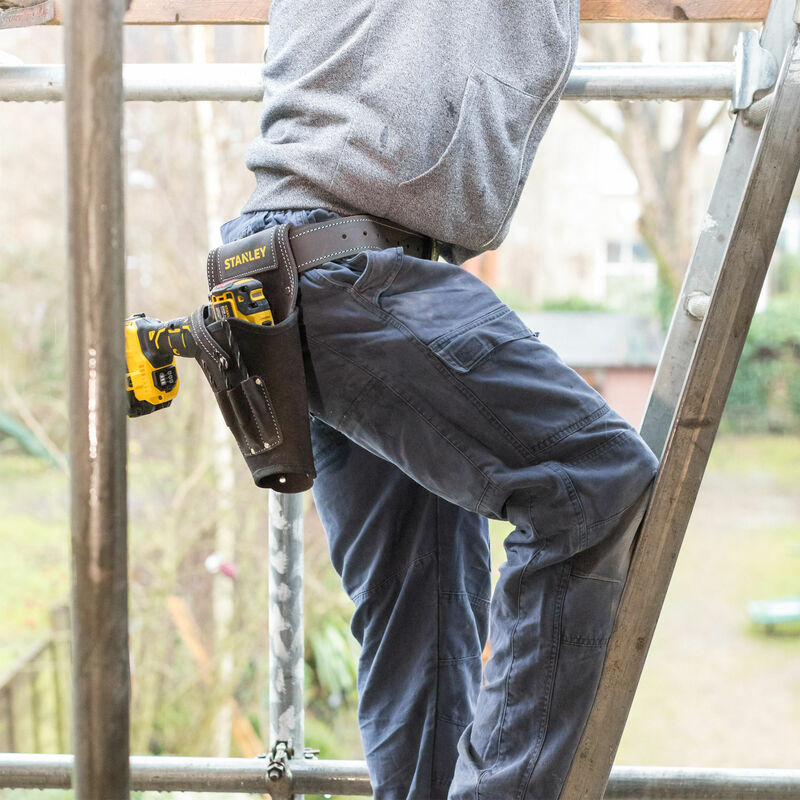 Made from professional, high grade suede leather with a leather strap that holds the drill securely in place. 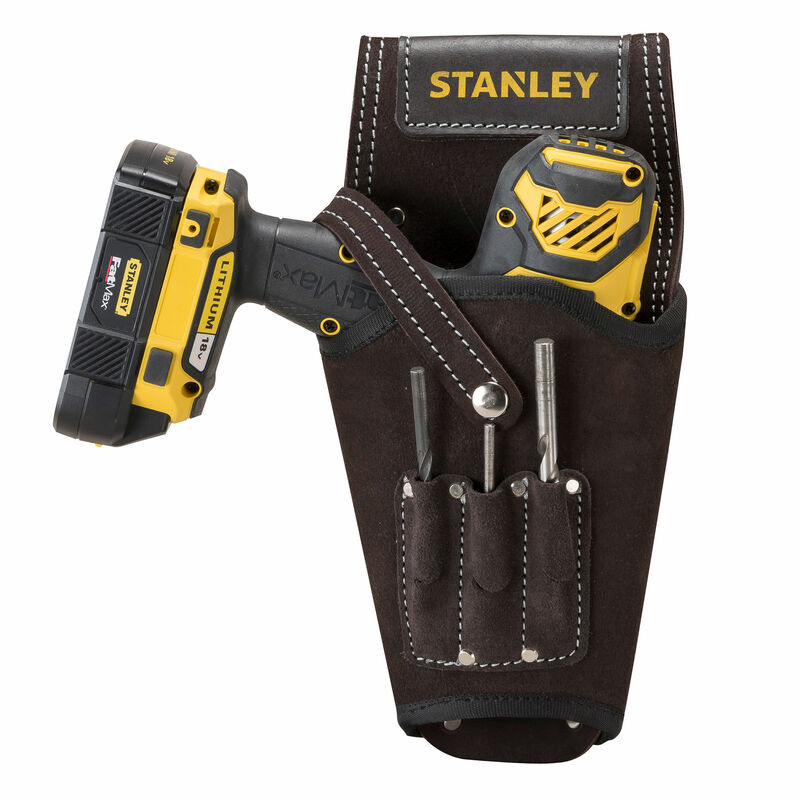 Could be an added accessory on the Stanley STST1-80113 Leather Tool Belt / Apron.